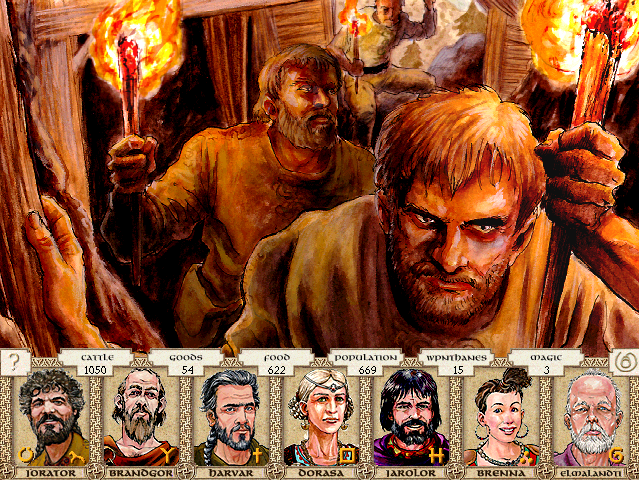 According to the goon democracy, I am going to do nothing this year but recruit more farmers and explore Tarsh. I might also get a chance to trade once. 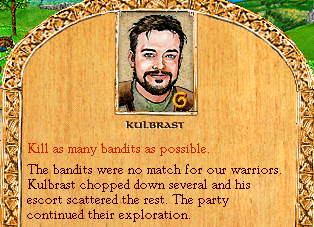 Kulbrast just needed to get out of the tula to be a successful explorer who can actually beat up some bandits, it seems. While exploring in the mountains to the northwest, your people find a disused mine shaft. A hunch made Kulbrast take them a long way into it. As they descended into its depths, they heard sounds. 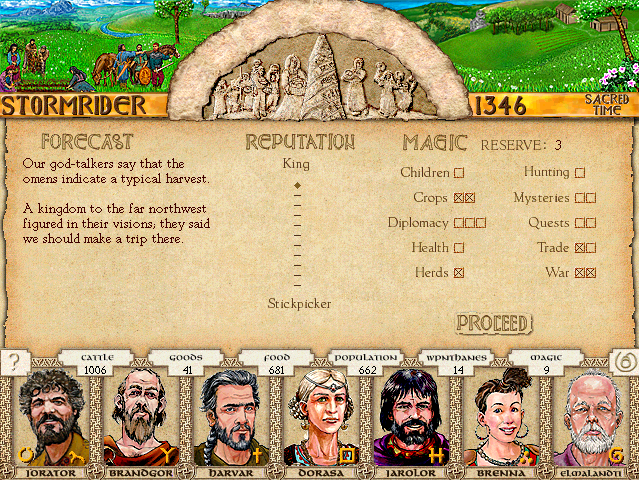 Before proceeding much further, they decided to come back home for advice. -Sacrifice to the gods for protection from underground mysteries. -Sell the information to another clan. If we share this information with another clan, they might like us a little better. We must perform a divination ritual before proceeding further. How can we estimate the risk, when we don't know what sorts of things are lurking in the mine? Ah sure, send a large party of farmers out during Sea Season. Then wonder where the food is, come harvest time. We could get six cows for this information. Curiosity is like an alynx. If you do not scratch it under the chin, it will claw you. It is a good day to perform a divination.